Vessela Tcherneva is the deputy director of the European Council on Foreign Relations and head of the Sofia office. Her topics of focus include EU foreign policy and the Western Balkans and Black Sea region. From 2010 to 2013, Tcherneva was the spokesperson for the Bulgarian Ministry of Foreign Affairs and a member of the political cabinet of Foreign Minister Nickolay Mladenov. Previously, she was secretary of the International Commission on the Balkans, chaired by former Italian Prime Minister Giuliano Amato and former German President Richard von Weizsäcker; the supervising editor of the Foreign Policy Bulgaria magazine; and political officer at the Bulgarian Embassy in Washington, DC. Tcherneva holds an MA in Political Science from the Rhienische Friedrich-Wilhelm Universität in Bonn. Today there is a new division in Europe - a solidarity gap. How will the EU bridge this perception, asks Vessela Tcherneva. Bulgaria was one of the countries worst affected by the gas dispute between Russia and Ukraine. What lessons are there for Bulgaria to learn? When Barack Obama enters the White House as president in January 2009, what will change for the Balkans? Like Greece and Macedonia itself, the EU is too willing to accept Macedonia?s state of limbo. Russia?s NATO and EU ambassadors push Moscow?s ?spheres of influence? into the EU starting with ?age-old ally? Bulgaria. The EU is ill-equipped to respond to foreign policy crises. It is high time for the EU to move beyond ‘stabilocracy’ and stand up to ethnic nationalist kleptocrat political leaders. New chaos in the Balkans: what role left for the EU? Mark Leonard talks with the director of ECFR's office in Sofia, Vessela Tcherneva and the director of ECFR's Wider Europe programme, Fredrik Wesslau about the crisis in Macedonia and the bigger picture of political stagnation and chaos in the Balkans, at a time when accession to the EU is losing its credibility in the region. The podcast was recorded on 5th May 2017. Will Turkey's constitutional referendum kill its EU aspirations? ECFR’s director Mark Leonard speaks with Soli Özel, ECFR Council Member and Professor of International Relations at Kadir Has University in Istanbul and ECFR's Vessela Tcherneva on the upcoming Turkish constitutional referendum and Turkey's EU membership prospects. The podcast was recorded in Brussels on 24 March 2017. Jan-Werner Müller, What Is Populism? ECFR’s director Mark Leonard discusses with Vessela Tcherneva, Head of ECFR Sofia office, and Aslı Aydıntaşbaş & Kadri Liik, ECFR Senior Policy Fellows, how US President Trump could subvert the European security order along 3 dimensions: NATO, Russia and Turkey. The podcast was recorded on 25 January 2017. 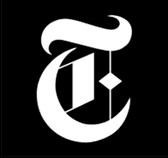 Vessela Tcherneva is quoted in the NYT's article on Hungary's involvement in aiding and harbouring a fugitive politician from Macedonia. Vessela Tcherneva cité dans Le Temps à propos de l'agenda de la Bulgarie pendant leur présidence du Conseil européen. El País interviews Vessela Tcherneva, head of ECFR Sofia office, on the paralelism between Catalonia and the Balkans. An interview with Vessela Tcherneva on the Catalonian referendum, EU-Turkey relations and the Bulgarian Presidency of the Council of the EU. Vessela Tcherneva is quoted on Macron's agenda for extention of the eurozone to eastern European countries. An interview with Vessela Tcherneva on the future of the EU. An interview with Vessela Tcherneva on the Catalonian referendum.